I have written several times on the topic of whether parents, who have the financial means, should provide partial gifts while they are alive, as opposed to just leaving an inheritance to their children or grandchildren. I am a proponent of providing partial gifts while alive if you have the financial resources. My rationale is simple. Why not receive the pleasure of your gift either directly (such as a family vacation) or vicariously (by observing your children or grandchildren enjoy their gift such as a bike, car or even cottage). 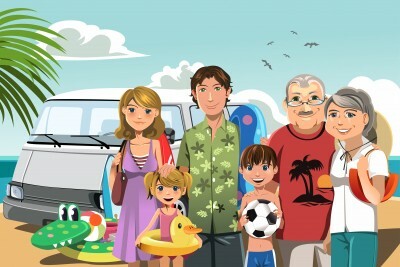 The concept of a partial gift being used at least in part for a family vacation has substantial appeal to many parents. A family vacation is appealing because a parent can participate in the experience, the vacation more often than not, results in memories that last a lifetime for all the participants, and lastly, the parent has control over the gift. I can attest personally to the benefits of a family vacation. Several years ago, my in-laws funded a Disney Cruise vacation for their children, their children's spouses and their grandchildren. This trip had a profound impact on the bonding of the grandchildren. In the case of my in-laws, the memories and enhancement of their grandchildren’s relationships was priceless and continues to this day. Another very poignant and moving example of the gift of travel is the story of Les Brooks. 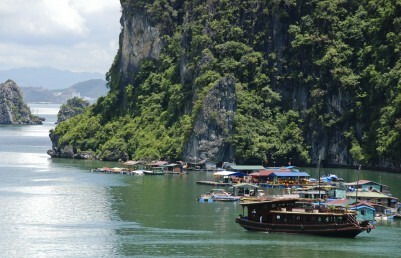 Les, a Vietnam veteran, had unresolved issues relating to the war and as he states in a Princess Cruises travel blog “Vietnam was a place I left in 1966 praying I would never have to go back. But Christle sensed the deeper truth…I was curious about the place; I wanted and needed to see for myself what life was like today for the people of a country that I left so torn apart by war.”. One day during the course of a conversation, Les’ mother asked him if he could take a trip anywhere in the world, where would he go. After thinking about the question he surprised his mother by saying Vietnam. Unbeknownst to Les, she later booked him on a cruise to Vietnam. Sadly, his mother passed away before Les took the cruise and could not observe the impact this gift had on her son’s life; but I would surmise, she knew the impact it would have as she paid for the cruise. Les says this about the special gift his mother provided while alive; “I realize my mother’s gift had opened the door to many profound gifts. Through her kindness and intuition, she provided the way back to Vietnam and my healing. There, through the smiling acceptance and unspoken forgiveness of that little girl and the many other Vietnamese who welcomed me, I was able to put aside much of the guilt that had gnawed at me for so long." Here is a link to Les' travel blog. While Les’ gift was not a family bonding vacation, it was a gift provided while his mother was alive, a trip that may never have occurred if Les inherited the money and spent it otherwise. The concept of using a partial gift to fund a family vacation has become popular for both family bonding and financial reasons as discussed in this USA Today article . As grandparent David Campbell says in the article, he is mostly motivated by a desire to make his children's lives a little easier. "It's getting to a point I'd like them to enjoy life," says Campbell, a regional sales manager. "And if they're going to enjoy it, they might as well enjoy it with me." I have observed the family vacation phenomenon on several of my own vacations. Suddenly a horde of people arrive at the pool or restaurant (not necessarily a welcome site for other vacationers) with corny matching t-shirts, saying “Smith Family Vacation 2011” or some other similar sentiment. Although we all know that any large family gathering can veer off the rails, these trips often bridge the generation gap between offspring and grandparents and parents. I often hear people reference these types of family vacations when they have a family get-together or the topic arises over dinner with non-family members. My grandmother gave her eleven grandchildren about $3K each as early inheritance, while she was still alive. I bought a pool table with the money. Thanks Grandma. Rack em up. My parents have given us many gifts and I think there statement was, "... you should enjoy it while we are alive to see you have fun ...", seems a good reason to me. BCM, I personally agree 100% with your parents philsophy. Why wait when you have the resouces and giving partial gifts as they have is a great way to accomplish the task in many cases. My parents gave me substantial amount of money that went towards buying a house in Canada soon after my family immigrated. It must have given them a lot of satisfaction and peace of mind knowing we had a roof over our heads while making a new beginning in a far away country (we immigrated from India). The house is a constant reminder of their generosity and love. Be*en, thanks for posting your personal experience. Many parents are concerned or complain that gifts will not or are not appreciated by their children. You exemplify that many children are grateful and that a gift often continues to "give" and "remind". Thx Mark, appreciate the kind words. I would like to comment as a parent, I take my family on a vacation every couple of years and it is very satisfying to watch them enjoy themselves, also it is a great learning expeirence for the older ones, they seem to appreciate what they have more, espeically when they come back from a country that is not as afluent as our own. My theory is that when I die, they are going to get it all anyways, so why not enjoy it with them. Try it, you will never regret it! Greg, thx for your comment. I agree with your philosophy and like your point about the kids appeciating what they have. Where you take the kids every couple years an interesting side issue may develop in that you have to ensure your kids "don't expect the vacation" and take it for granted. How much Control do I have from the Grave?